Our exceptional range of environmentally friendly architectural coloured stains and decorative coatings rejuvenate & add beauty to concrete, masonry and more. Maintaining the image of concrete has never been easier than with Adseal & Newlook’s family of architectural concrete stains. 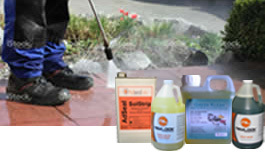 They are water-based, non-reactive and are used to restore old, tired-looking and faded concrete or to add exciting effects, logos, etc. 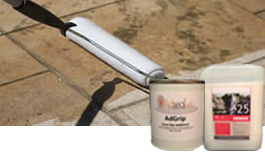 Use NewLook’s opaque premium SOLID stains to achieve sustainability and fix common concrete colour problems like discoloured, blotchy or stained concrete, wrong colours, failed acid-stain, faded integral colour and more! 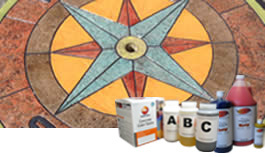 Our family of revolutionary concrete stains provide endless possibilities in colouring and faux finishing concrete. It is recommended that newly laid concrete is left to cure for 30 days before applying..
Hi Kate we can definitely help you with this, we just need some pictures so we can..
Hi Jason I'm sure we can help you with this. the person you need to speak to will..
Hi John yes you can mix the Endura faux Fusion with the densifier at the polishing..
Hi Darren we'd suggest you get a 15 litre container to be safe Approx 8 m2 per..
Hi Amanda this is a link to the product that will help you with your internal wall Endura.. 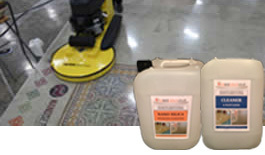 The only one I would really suggest mainly as the floor has been honed would be the..
No the Lithium densifier is for use when polishing, it will have little affect on..
Hi As you have use a paint on the concrete I would suggest using a water based..